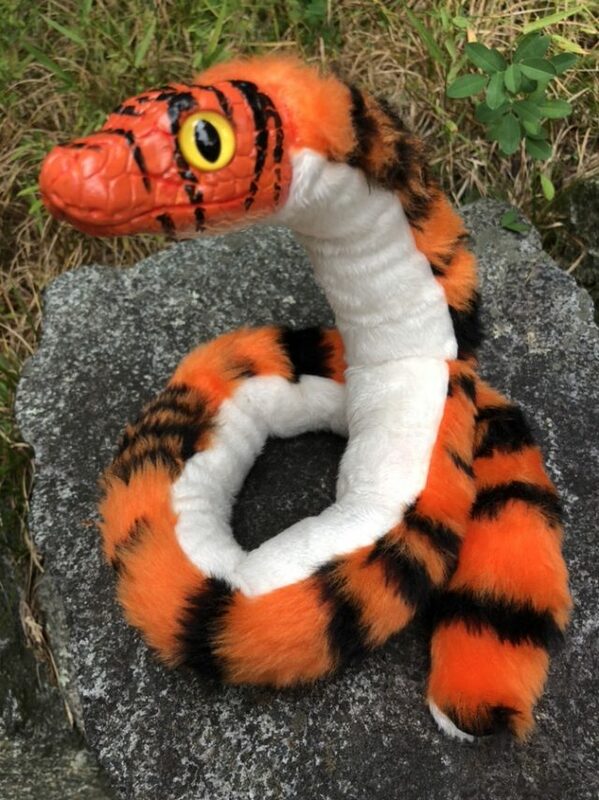 I made two snakes as a new creature to test out at Anime Boston 2018 way back in the spring, and was delighted to see both that I brought to the show adopted into loving homes during the first morning of the convention! 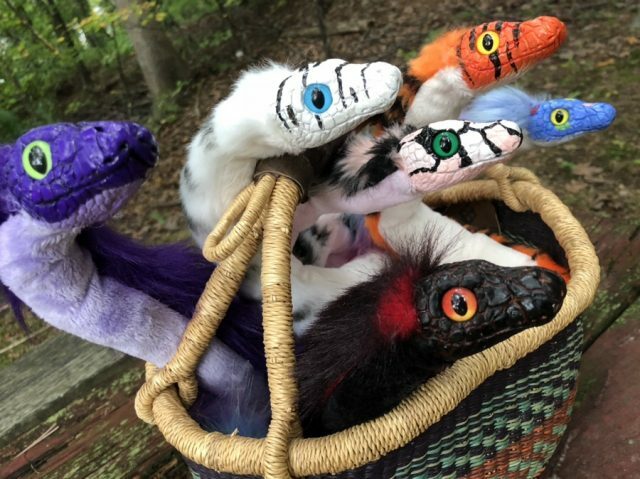 I’ve been hard at work on commissions all summer and didn’t have much of a chance to devote time to building a happy snake family, but I put together a new batch this month in anticipation of Super MegaFest! I recreated another Lava Snake, as I had many requests to replicate that design, but the other snakes in the half-dozen are all-new. My husband requested a bright orange tiger snake, which was the first (and brightest) addition to this batch. 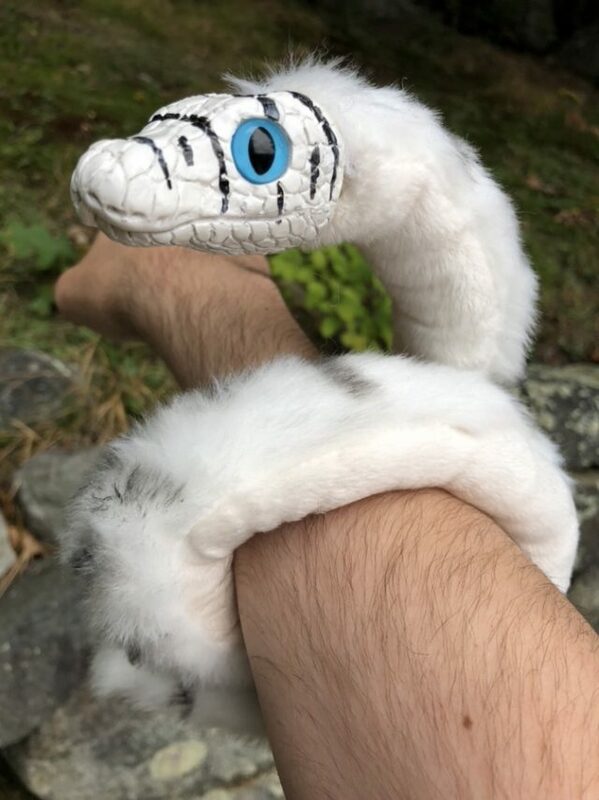 To counter the explosive brightness of the Tiger Snake and the darkness of the Lava Snake, I made an Arctic Snake in the white and black stripes motif that I’ve previously used for Arctic Dragons. I always like to have pink available for every creature, but a straight pink didn’t seem appropriate for a reptile. 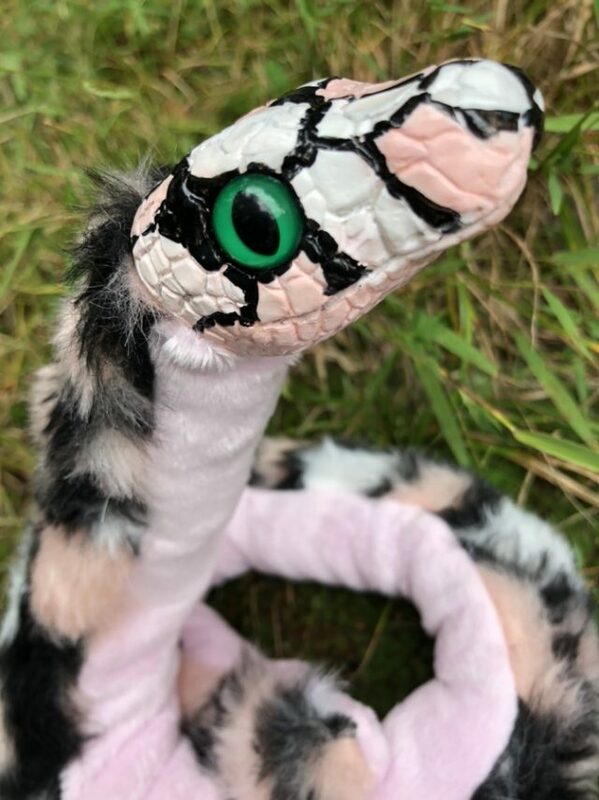 So I opted to use the pink leopard-like faux fur for the pink snake. I’m really pleased with how it turned out! 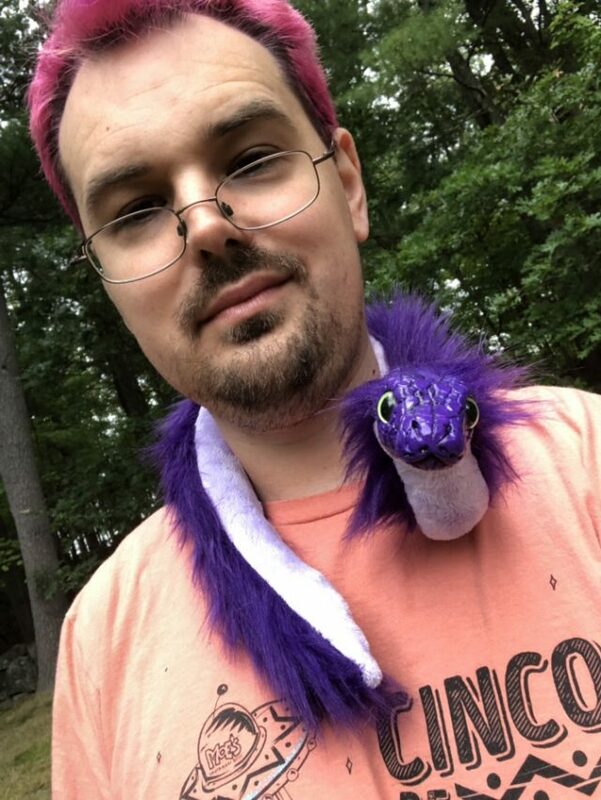 The vibrant, silky long fur on the Purple Snake was a real hit with my husband! I love how well his green eyes go with the two-toned purple hues of his body (special thanks to the husband unit for modeling). 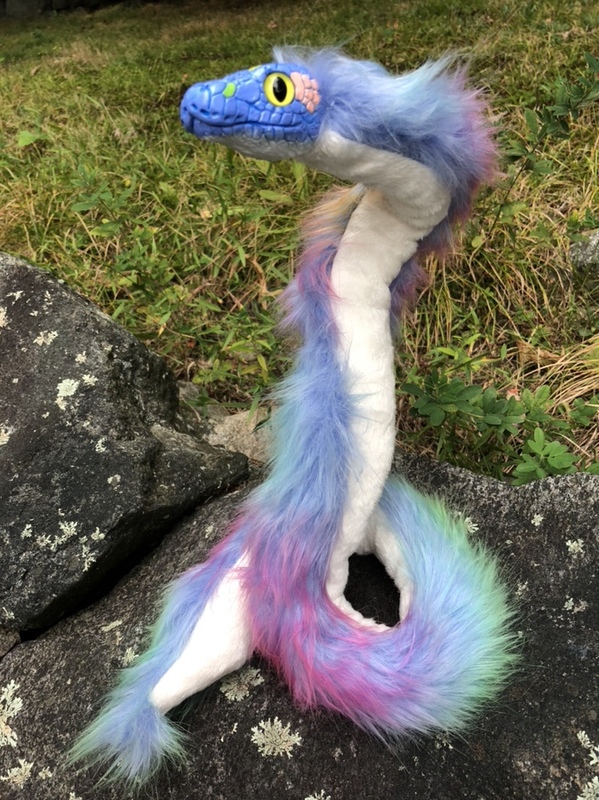 And for those who prefer their snakes looking a bit more whimsical, I’ve made my first Rainbow Snake! I painted some of the scales on its face in a variety of colors in honor of many-colored fur. All six of these snakes will be available first at Super MegaFest this weekend, with any unadopted snakes being added into the shop following the convention. 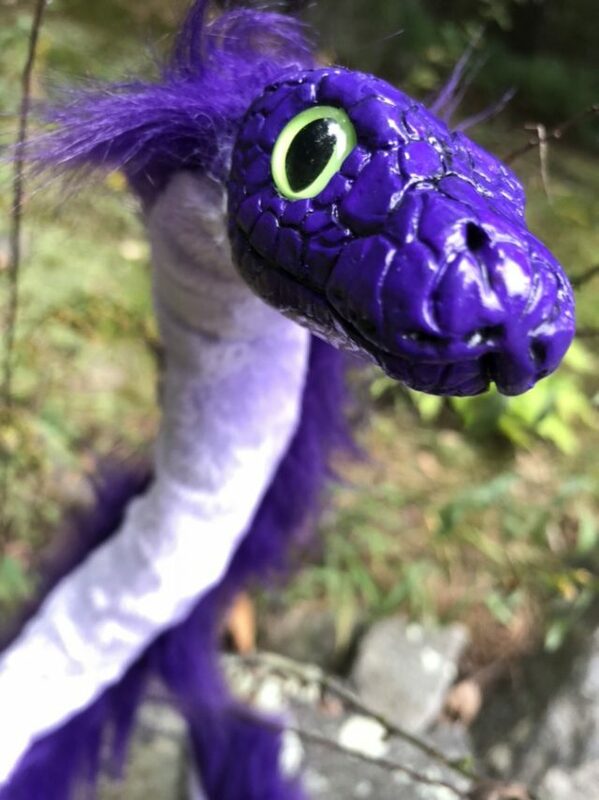 Each of the snakes features a super-poseable hard plastic articulated spine and is super-long, so you can wrap it around your neck or arm! And if you’re interested in snakes in any of these styles (or a color choice of your own), feel free to contact me!